Mechanical: the braking operation is achieved by means of the mechanical force manually exerted by the pilot through a handle lever. Hydraulic: the braking operation is achieved by means of the hydraulic power provided either by the helicopter hydraulic systems or by a dedicated Power Module, also developed by OMA in the frame of a stand alone system architecture. Electro-mechanical: the braking operation is achieved by means of the electrical power provided by the helicopter electrical system. 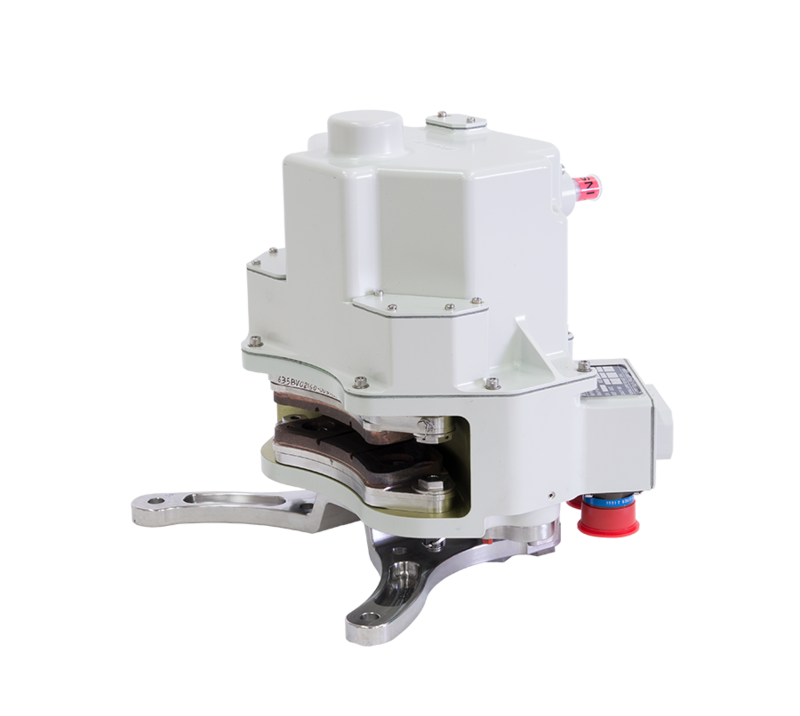 For these applications a dedicated Rotor Brake Electronic Box has been developed in order to control and monitor the Rotor Brake performances. Friction materials to operate the braking range from carbon-carbon, to metal-carbon and sintered (non asbestos liner)-metal. 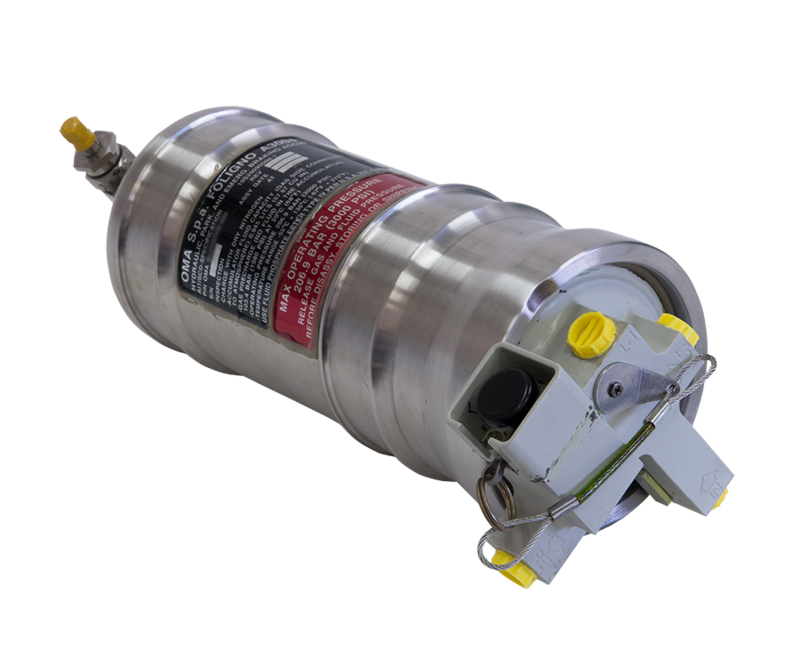 OMA parking accumulators are used to maintain pressure to a brake system while the system pumps are not operating. The proposed design solutions integrate a manual discharge valve and a manometer allowing visual check of the gas pre-charge during maintenance. 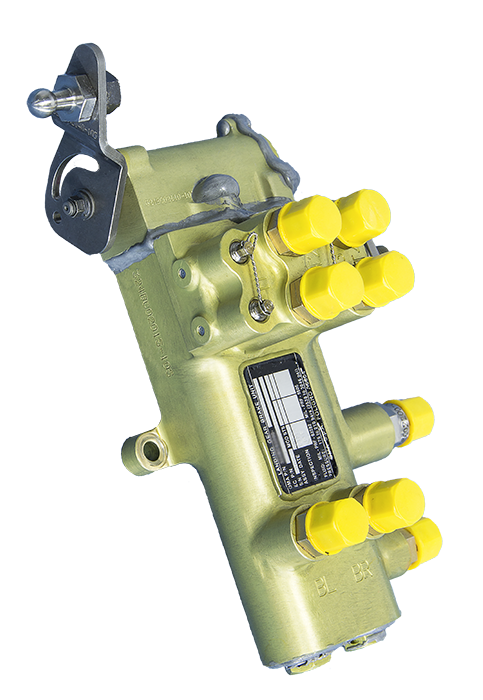 OMA equips several aircraft and helicopters with hydraulic valves and modules to be used on Braking Systems. The proposed technical solutions go from Braking Modules integrating servovalves for Brake-by-Wire applications, to Parking and Metering modules to support all the operative functionalities of the braking systems.